I wish I could have posted this earlier…but to be honest, this is one of the reasons I haven’t posted in a few weeks! I was doing all this intense crafting and home-making of things for the holidays, but couldn’t show them to you yet, because I hate ruining good surprises, and many of them were gifts I was giving to some of my co-authors or some of our readers. Moving out to Denver this year has been a wonderful experience, but returning home to Chicago for the holidays is now much more pricey than it used to be when I could just hop in my car and drive 30 minutes to the suburbs. But if you’ve ever met me (and let’s be honest, even if you haven’t but have read this blog a few times) you know that 2 things I can’t give up are making others happy and crafting! So since my purse strings were a little tight this year when it came to presents, I decided that I would do my best to create pretty and useful homemade gifts. 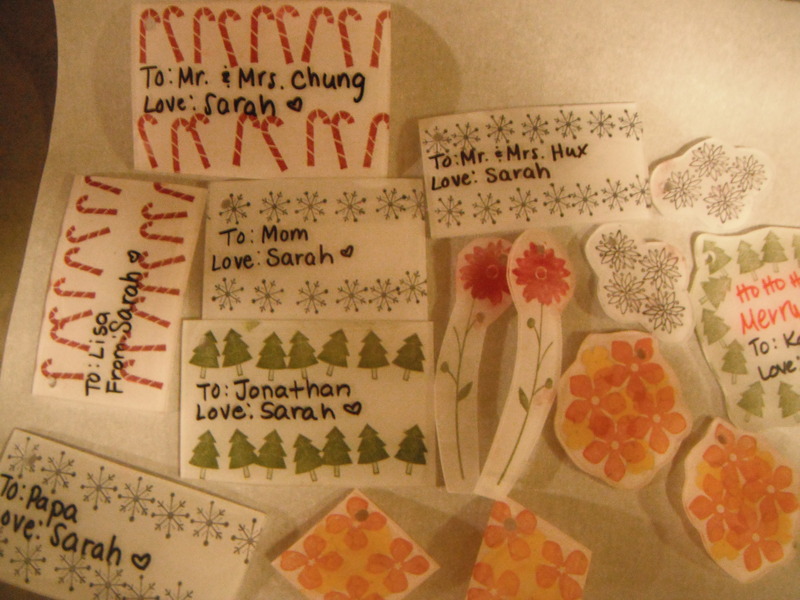 First on the list was when my friend Krista and I had a ‘throw-back craft night.’ It consisted of making all kinds of crafts we used to make when we were younger: fuse beads, loop weaving looms, friendship bracelets and, shown below, shrinky dinks. Now obviously some of these crafts were more for our own entertainment than to actually gift people, but we did use a model I had seen at a little Denver boutique to create earrings out of shrinky dinks and also turn our creations into some hand crafted gift tags. Until then, I had forgotten how much fun I had as a child crafting with my friends at sleepovers…I felt like I was 13 again haha. Next on my list was creating something original for some family members. 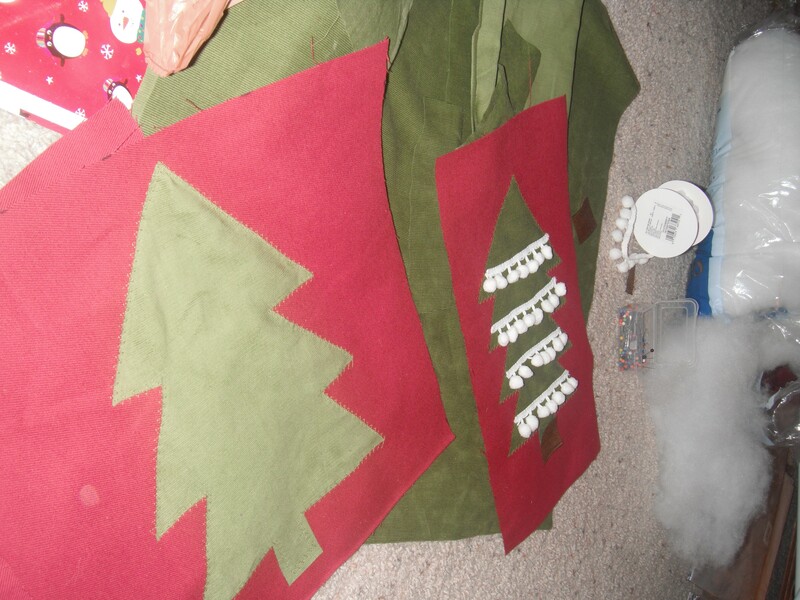 I knew I wanted to use my new sewing machine for something exceptional, so I came up with holiday throw pillows. It’s a nice decorative item that you can bring out for the Christmas season that not everyone has and I felt like (with my thus rather limited sewing skill set) I could create in a way that would look Crate & Barrel-bought. 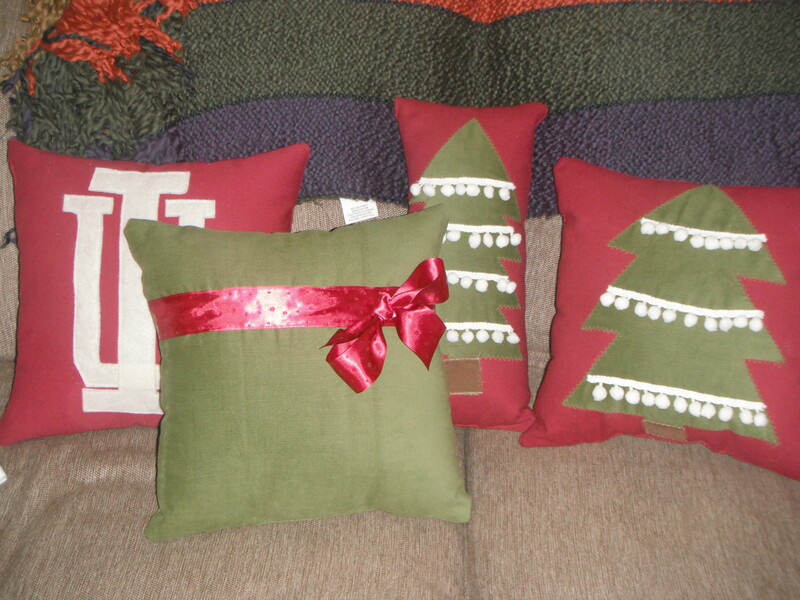 I made the pillows as gifts for my parents, Jonathan’s grandparents, and a special Indiana University for my brother to take back to his college apartment with him. 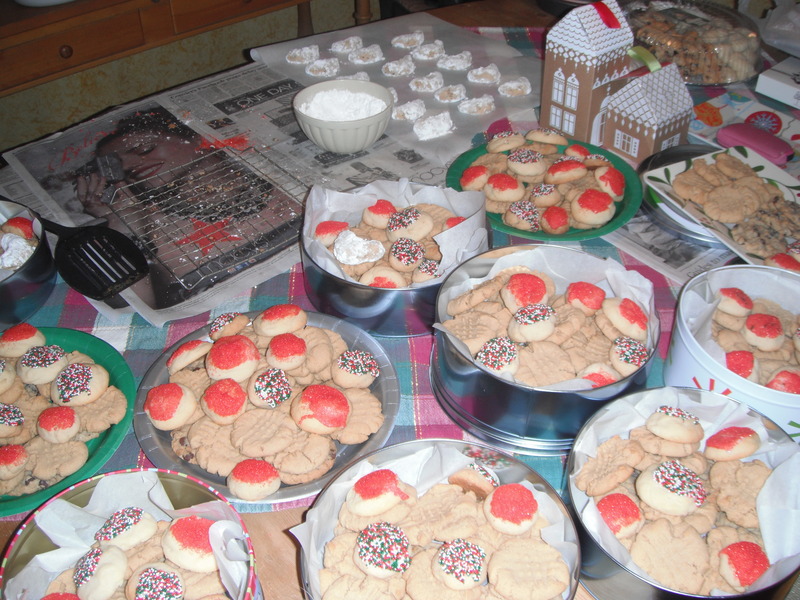 Finally, 2 days before Christmas, my brother Sam and I completed our annual cookie-baking extravaganza. We bake my great-grandmother’s 5 traditional holiday recipes every year: butter, peanut butter, crescent, toffee squares, and oatmeal chocolate chip, place them in fun tins, and give them as Christmas gifts to friends and family. Everyone seems to love them, particularly the people who knew GG and had the pleasure of experiencing her phenomenal baking! I’d say I was able to give everyone on my list a good Christmas on a budget. And the gift-giving experience was much more fun for me this year, since every present I gave had a little love in it.